The Western Sydney Wanderers will take on Leeds United at the new Western Sydney Stadium on Saturday, July 20 to officially open the stadium for football. Wanderers CEO John Tsatsimas, alongside NSW Minister for Sport Stuart Ayres, club legend Dean Heffernan and Wanderers goalkeeper Jada Whyman, today announced the club’s first match at the new stadium against storied English football club Leeds United on July 20. Tickets for the Western Sydney Wanderers v Leeds United friendly will go on sale next month. Western Sydney Wanderers CEO John Tsatsimas said the match will be the first opportunity for Wanderers fans to experience the new stadium against the famous Leeds United Football Club. “Our incredible members and fans have waited a long time to see this stadium come to fruition and we cannot wait to play our first match there against a club with so much history and tradition in Leeds United,” said Tsatsimas. NSW Minister of Sport Stuart Ayres said as many as 5000 Leeds fans are expected to travel to Sydney for the historic match, joining many thousands of Wanderers fans who will be thrilled to see their team in action at the magnificent Western Sydney Stadium. 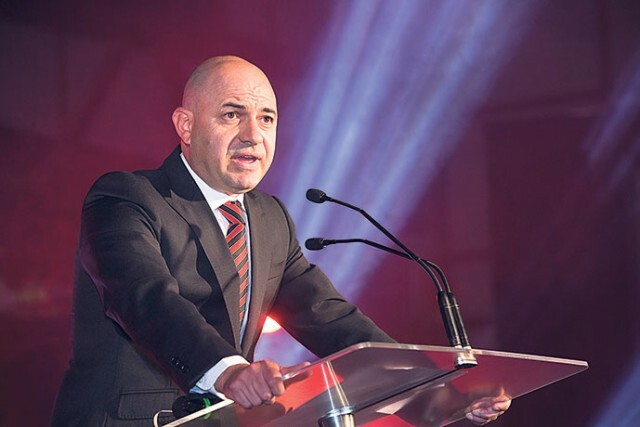 “This will be an occasion that every football fan in Western Sydney will want to be part of as the Wanderers line up against one of English football’s most famous clubs,” Minister Ayres said. “The 30,000-seat Western Sydney Stadium is on track to open in April 2019 and Wanderers versus Leeds United will be a major sporting event in Western Sydney that will showcase the best live event experience in the country. Leeds United CEO Angus Kinnear said the match will mark another milestone in the centenary season of the club. “We are delighted to confirm that our club will travel to Sydney and play the Western Sydney Wanderers as part of our Australian pre-season tour in July 2019,” said Kinnear.